Instafinish 1/4" Locking Pressure Regulator with Gauge. 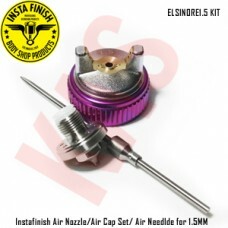 Our regulator ..
Instafinish 600ML or .6 L Gravity Flow PLASTIC CUP W/ LID. This cup is..
Instafinish full-size HVLP spray gun, 1.3 Nozzle, Color Chrome with Bl..
Instafinish full-size HVLP spray gun, 1.4 Nozzle, Color Chrome with Gr..
Instafinish full-size HVLP spray gun, 1.5 Nozzle, Color Chrome with Pu..
Instafinish GenuineAir Nozzle/Air Cap Set/ Air Needle for 1.3MM. 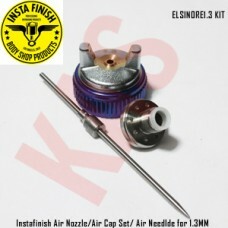 Maint..
Instafinish GenuineAir Nozzle/Air Cap Set/ Air Needle for 1.4MM. 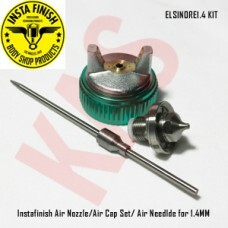 Maint..
Instafinish GenuineAir Nozzle/Air Cap Set/ Air Needle for 1.5MM. 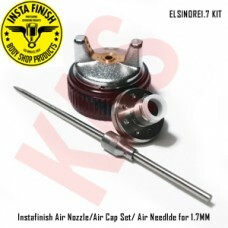 Maint..
Instafinish GenuineAir Nozzle/Air Cap Set/ Air Needle for 1.7MM. 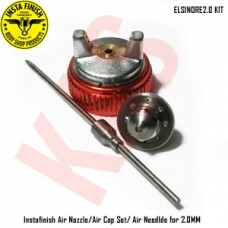 Maint..
Instafinish GenuineAir Nozzle/Air Cap Set/ Air Needle for 2.0MM. Maint..